You are currently browsing the tag archive for the ‘competitive spirit’ tag. The morning was heating up. I got too wrapped up in other stuff, so my workout started later than I wanted. That is a tactical blunder in a Houston summer. When I pushed off to begin my bicycle ride, I could already feel the temperatures heating up. If I had left and hour earlier, it would have been perfect. Now, I wondered if I should even go at all. 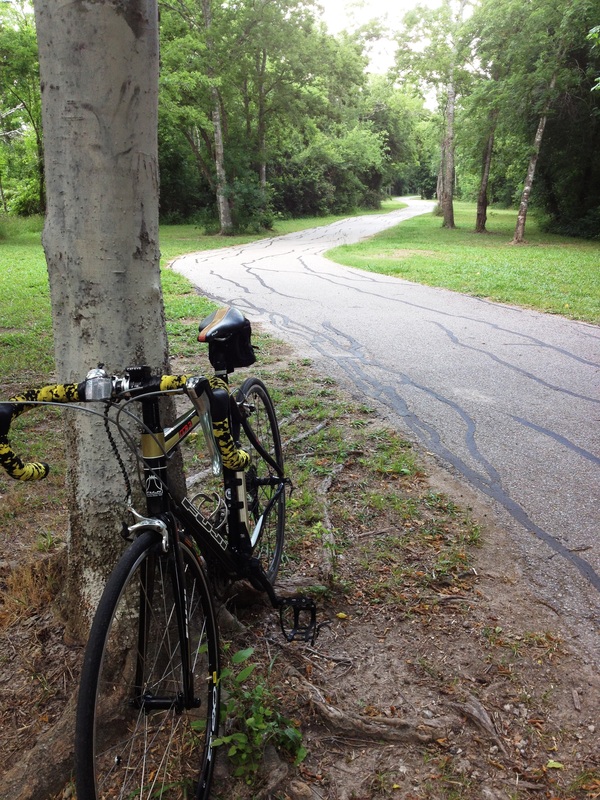 Pressing on, I pedaled down the road to my turnaround destination. It was 4.5 miles away. That is far enough to give me a rigorous workout and get me back home in time for our Saturday activities. At the farthest point on my journey I turned around and headed for home. The morning sun had climbed high in the Eastern sky just like the Creator had designed the heaven’s to function. It was pouring down heat rays on anyone who was trying to finish off their morning workout. Two miles from home I approached a red light. While I was coasting to a stop another cyclist across the street was nearing the same intersection from my right. Yes, he was eyeing me. I could feel it. Quickly he turned right on the sidewalk, heading in the same direction as me. I was still waiting for the light to turn green. He turned back to look and see how much separation he could get between us. Competitive guys are so simple and telegraph their intentions. The gap between evaporated just because the technology in my ride was superior to his. He was riding a mountain bike, big tires, heavy frame and rugged components. The sidewalk was his path. That is where slower riders should be. I marked his speed by matching his progress: 12 mph. He turned his head half way to see where I was behind him. Next, he shifted his gears, trying to find a way to pick up speed. There was nothing left to pour into his engine. That is when I shifted. From 12 mph my carbon fiber Fuji accelerated to 14 mph. Again I shifted and like the wind I passed the would-be challenger. My fingers deftly shifted once more. The onboard bicycle computer now leaped to 16 mph. My engine was pouring in the energy and sailing down the road. One final shift and my faithful steed and I were cruising away at 18.5 mph. No, I did not bother to look and see where my competitor was. My victory shower was refreshing, invigorating and satisfying.